KEC has been stressing not only on producing better graduates but also on developing graduates who to become market ready. In long running history of KEC, it has been a pioneer educational institute to establish a good relationship with industry leading organization to provide best-in-class training and internship to its students. Adding another name in such milestone, MOU was signed between KEC and Spiralogics international, on October 24,2017, to establish a strong bond between education and industry and to reduce gap between theoretical and practical knowledge. 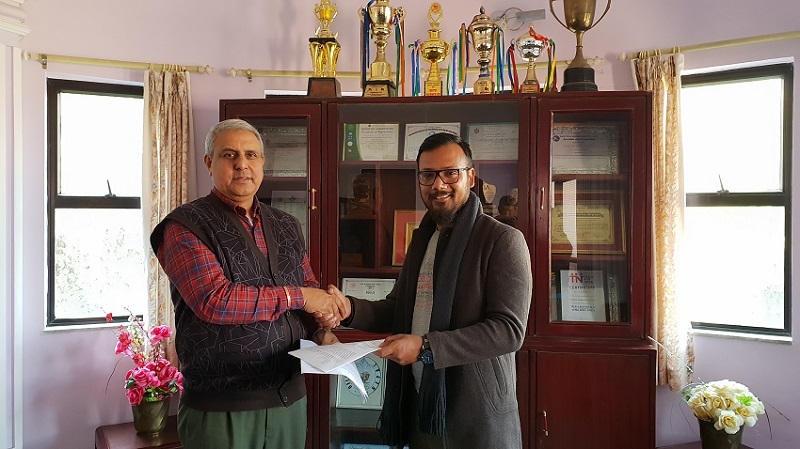 On this occasion, Principal of KEC, Mr. Rameshwor Rijal, and Operation Manager of Spiralogics international, Mrs. Anukha Wagley, signed the MOU. This MOU has defined a clear track that will facilitate our students for various internship, training, etc., also this will also ensure Spiralogics will be getting much needed fresh and highly qualified graduates.